China, a nation of 1.3 billion people, is facing an ongoing cancer epidemic, with more than 3 million people expected to be diagnosed and 2.2 million people estimated to die of the disease in 2015. In February this year, the World Health Organization (WHO) warned that cancer rates are growing “ferociously” in China, but that many of the new cases of cancer could be prevented. With lung cancer being the most common cancer diagnosed in Chinese men and the leading cause of cancer death in China, “improving cancer prevention in China – for example, by reducing very high smoking rates especially among Chinese men – would save many millions of lives every year,” said Bernhard Schwartländer, MD, PhD, WHO representative in China, in their news release. 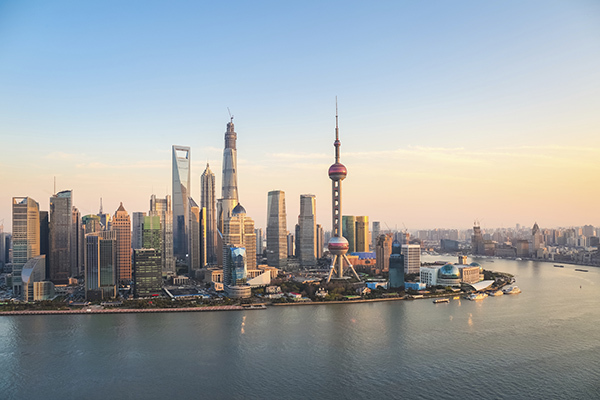 Cancer researchers from around the world will convene in Shanghai, China for the AACR New Horizons in Cancer Research Conference: Bringing Cancer Discoveries to Patients, Nov. 12-15. In a review article recently published in Cancer Prevention Research, a journal of the AACR, Chung S. Yang, PhD, professor and endowed chair in the college of pharmacy at Rutgers University, New Jersey, and Siwang Yu from the School of Pharmaceutical Sciences at Peking University in Beijing, China, examine cancer prevention strategies initiated in the past in China, and discuss areas of prevention research to focus on in the future. The authors first present a summary of the joint United States-China collaborative cancer research projects initiated following the establishment of a diplomatic relationship between the two countries in 1979. Most initiatives made during that period were directed toward “traditional” Chinese cancers, including esophageal and gastric cancers, and cancers of the liver, lung, nasopharynx, and cervix. The latter part of the article discusses the urgent need to develop effective cancer prevention strategies in the face of soaring incidence rates of “western” cancers, including lung, colorectal, and breast cancer in the past few decades. For example, per the International Agency for Research on Cancer (IARC) GLOBOCAN estimates, nearly a million people are likely to die of lung cancer in China in 2025. The authors suggest exploiting the latest developments in technology and knowledge gained from the studies conducted in the United States to develop strategic prevention and early detection methods to tackle lung, colorectal, and breast cancers, among others. This paper draws our attention to the importance of international collaborations, and makes recommendations to strengthen scientific societies, establish government policies, and increase funding for cancer research in China. The authors also emphasize that establishing cancer prevention as a health care priority, investing more resources, and enhancing health education in the school curriculum and the media are vital to combating the alarming rise of cancer burden in China. You-lin Qiao, MD, PhD, a co-author of this review and a distinguished member of the Chinese Academy of Medical Sciences; director of the International Collaboration Department, Cancer Foundation of China; and deputy director of the National Expert Committee for Cancer Screening and Prevention of the Ministry of Health in China, plans to meet with his U.S. colleagues and the AACR in November this year to discuss opportunities for collaborations. Last year, for the first time, the AACR hosted the New Horizons in Cancer Research Conference in Shanghai, China, to highlight the latest discoveries in major areas of cancer research and to establish new collaborations on an international scale. This historic event, titled “Harnessing Breakthroughs – Targeting Cures,” was a huge success, drawing more than 750 attendees from 21 countries. This November, at the second conference in this series, twice as many attendees are expected to assemble in Shanghai to participate in this interactive four-day program that covers the latest findings in basic, translational, and clinical aspects of cancer research. Lewis Cantley, PhD, and Carlos Arteaga, MD, co-chairs of the AACR conference, invite the cancer research community to attend the historic event in Shanghai to exchange ideas and enhance our understanding of cancer etiology, prevention, diagnosis, and treatment that are essential to finding innovative methods to curb global cancer burden. The deadline to submit an abstract to this meeting is Aug. 10, 2015.